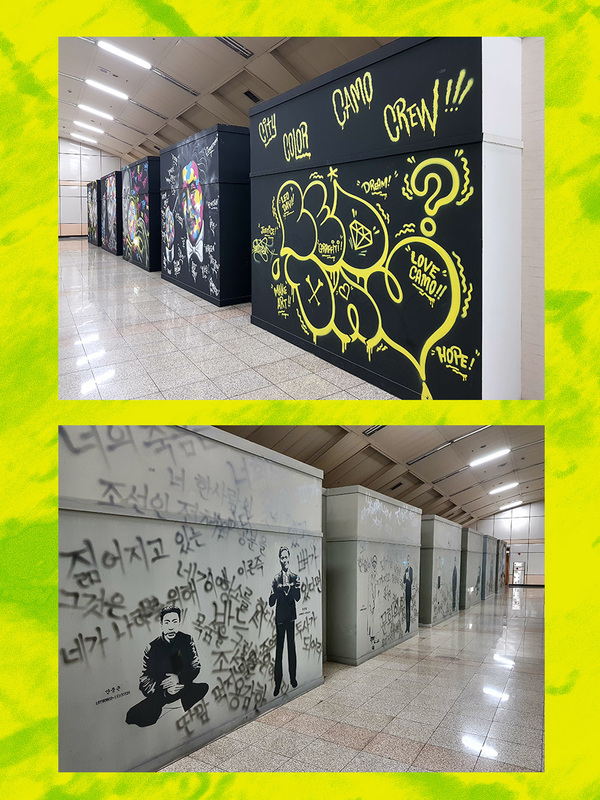 The Seoul subway system plays host to an odd collection of art. Seoul has became a well known art capital, with prominent dealer galleries, extensive art collections and notable public institutions. But outside of these large, and wealthy institutions are artworks that exist in purgatory; often nameless, intentionally mundane, their purpose reduced to decor. 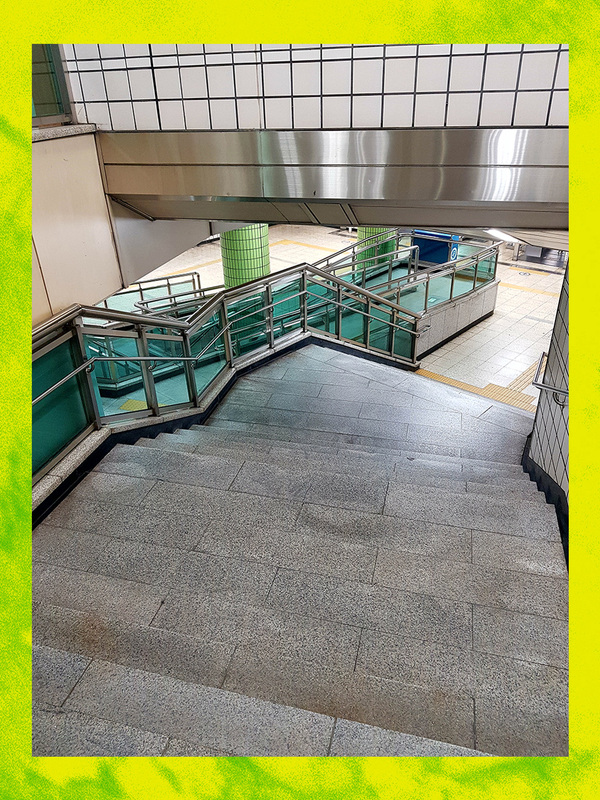 This is what defines the works displayed around Seoul's public transport. In transit people are not intent on dissecting the intellectual makeup of artworks, rather these visuals permeate the subconscious of the civilian masses; attached to a vague makeup of time and place. Alongside these works are an animated competition: thousands of advertisements changed on a regular rotation. But indifferent to their placement, these works are seen by millions, making them perhaps the most visible art works in the South Korea. Subway stations by necessity are large and utilitarian, clinical and unfamiliar, the art and decor make these spaces more human, more familiar. Much like corporate art, their function is not to be exceptional or provocative, but rather provide a sense of order, calm or some vague emotion. The majority of the art works north of the Han River are from the late 1980s and 1990s, stylistically minimal yet eclectic.